Our Custom Uniform and Cap packages are perfect for Little League, Pony or Travel Ball teams. We offer competitive pricing and FULL lines of customization to make sure you are properly represented on the field. We carry Jerseys, Sleeves, Socks, Belts, Pants, Shorts and more from some of the top athletic brands in the industry. 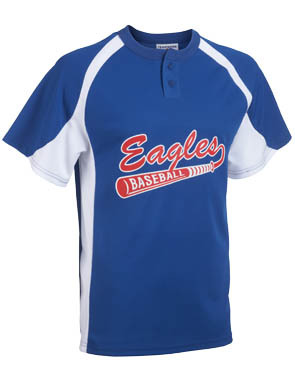 We can silkscreen or embroider almost any of our products with your team or league information. Spirit wear is also very popular with our Little League and soccer parents. Show your spirit with t-shirts or other apparel with your team name.